You can make little bowls like this for a party or just for fun. The paper you use should be about 12 by 12 inches. Fold it step by step, following the pictures above. When you reach the fourth step, turn the paper and unfold it so you have four openings. This can be used as an interesting box or a bowl to fill each with nuts, raisins or candy. The Origami Fox Box for the Beginner Paper Folder Child - This is a very simple paper craft and is excellent for a beginner paper folder. It doesn’t require very much skill and only uses simple folding techniques. In addition, the Fox Box is quick to make and you can hide little treasures inside, which are perfect for grab bags. How to Make Origami Bird Boxes - Bird box. How to Make Origami Boxes Instructions - Box origami model. How to Make Origami Boxes Directions - Box origami craft. How to Make Origami Box Models - Box origami model. How to Make Origami Paper Boxes Instructinos - Origami box. Origami Box Tutorials - Origami box models. Origami Boxes Lessons - Box origami model. How to Make Origami Candy Boxes - Candy box origami model. How to Make Origami Candy Box Instructions - Candy box origami craft. How to Make Origami Cube Boxes Tutorials - Cube box origami model. How to Make Origami Dog Boxes Lessons - Dog origami box. Origami Dog Box Directions - Dog origami box. How to Fold Paper into a Fancy Box - Fancy origami box. 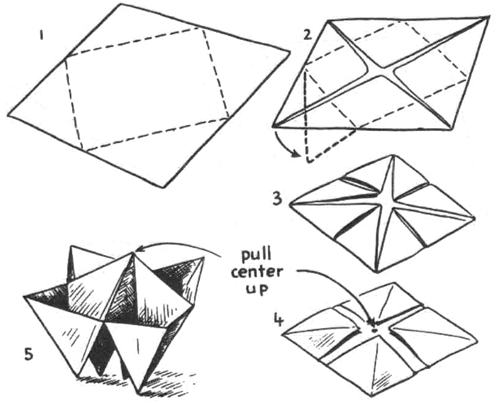 How to Fold Paper into an Origami Jewel Shaped Box - Jewel shaped origami box. How to Make an Origami Multi-box - Multi-box origami model. How to Make Origami Simple Box - Simple box origami. How to Make Origami Star Box - Origami star shaped box. Origami Bonsai Boxes - Bonsai origami box. Origami Boxes - Origami box. Origami Crayon Boxes - Origami box for crayons. Origami Japanese Boxes - Japanese origami box model. Origami Oblong Boxes - Oblong origami box.